Working from home takes a huge commitment, you have to find a job and give it your all. Sometimes it takes more than one job to make ends meet and that’s where micro jobs come in handy. If you work from home, chances are you have considered micro jobs as an additional source of income. These generally small jobs for extra money come in various sizes and forms, and oftentimes pay very little. However, there are plenty of micro jobs that are well paying. As mentioned, there is no one kind of micro job. These additional sources of income can be found both inside the home, and out. Homebound micro jobs are often computer related. They can include transcribing general audio files, or tagging photographs online. Jobs that you can find outside your home could be as simple as a one time errand, or even a mystery shopping assignment. I guess the best part of having a micro job is that you can have several! You don’t have to commit to one company, you can work for SEVERAL at one time. One of the best things about micro jobs is that they are short term. They are great for when your regular source of income is slow. You can choose which ones you want to do. Isn’t that awesome? There is no need for a long term commitment. You can simply take them on as your lifestyle sees fit. I love that I can log into my job, do a little bit of work and then get on with my day. Sometimes, you only have chunks of time and this is the perfect way to make money during those chunks of time. Unfortunately, micro jobs are likely not the best way to earn a living. Unless you are taking on lots of them, quickly, you will not find yourself earning a lot of extra money. Also, you cannot always count on them. Pending the particular job, it may not always be available when you need the extra money. No matter what, micro jobs or not, you NEED to be motivated to work when it comes to working at home. Micro jobs are a form of working from home, make sure you’re prepared for the actual work part. Just like with any work from home job, it’s never guaranteed. Your income received from doing micro jobs varies greatly on the jobs you choose, and how frequently you can complete the tasks. Smaller jobs may be beneficial, because although their pay is often low, you can do more of them at once. Whereas a single, larger job may pay more, but you are stuck with the same job until it is done. Experience can come into play, as well, with some jobs. A variety of micro jobs will only accept experienced help. Where to find micro jobs is not always an easy task. 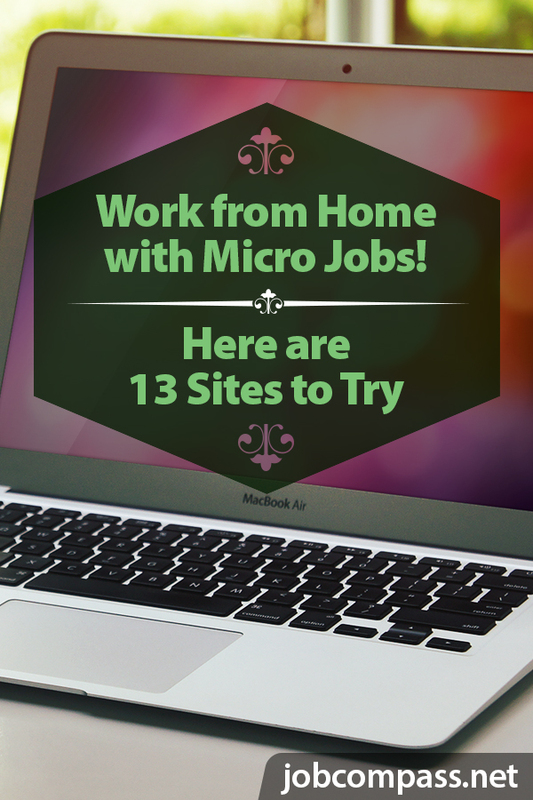 Fortunately, for you, this list can lead you to some of the best online micro jobs. I have gathered at least ten of the best micro jobs out there. I would apply to all of them and in no time, you’ll be making money working from home, doing something that is easy. Whether you are good at categorizing websites, image tagging, or transcription, you are sure to find plenty of small tasks for OneSpace. OneSpace is the perfect job for someone who wants to make money but doesn’t have a lot of time. You can make money, do small tasks, and so forth: this is a win-win for the work at home professional. I like that you can actually do different jobs too. Sometimes you can work on transcription and other times work on categorizing websites. After taking a short assessment you will then be able to do online jobs based upon your qualifications. Jobs can be anything from search engine evaluation tasks, to simple writing projects. I used to work for ClickWorker back in the day and it was always so easy. I loved doing the different types of tasks that were available. Once you become a worker for Amazon Mturk you can sort through a variety of tasks to perform, like writing, data entry and even search engine evaluation. Amazon MTurk has literally been around forever. You can’t rely on this micro job forever, but it can help you make money here and there. Plus, Amazon is a trusty business and has been around forever. I always like working with companies that stick around, it makes it worth my while to look for work with them. From writing and marketing to graphics and design, Fiverr allows you to offer up your services for $5 each. Keep in mind that Fiverr does keep a small portion of your earnings. I have worked for Fiverr and loved it. I was able to make money and still do other work from home jobs. I also love the fact that anyone 13 and older can sell on Fiverr. It gives a chance for even teenagers to make money from home. This app is downloadable for both iPhone and Android users. For each job, you complete you will earn points, which can then be used to purchase various gift cards. I’ve noticed that Mobee does not always have a lot of jobs available. However, it’s worth signing up and checking on a daily basis. Remember that a lot of different micro jobs can add up to a lot of money. Your mobile phone is all you will need for the micro-jobs found out the Gigwalk app. Gigwalk is one of the higher paying apps that are available for both iOS and Android users. With this, it’s easy to do small jobs for extra money. Possibly become someone’s personal assistant on Taskrabbit. You can also do things outside the home like running errands, and picking up groceries. Field Agent can help you find and do micro jobs while you are out and about. Simply get paid to use your smartphone to collect photos, videos and other information from stores and locations you plan on visiting anyway. Calling all iPhone users! The Easy Shift app is task based. Earn pay through PayPal, as well as points. The more points you earn through the app, the more access you will gain to jobs that are available. This company allows you to do small tasks online and get paid for it. ClixSense has been around forever. They’re always hiring, so make sure you take the time to sign up. I love that ClixSense offers cash money for doing these tasks too. You can be sitting in the car line and finish tasks. I like to do tasks while I’m sitting at the doctor’s office. I mean, I’m sitting down, so I might as well try and make money. Go ahead and sign up for ClixSense and see how much money you can make with them. 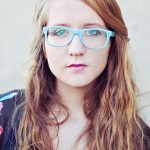 I know you have probably heard of UpWork before. This is one of the top online micro sites. Clients are looking for people who can do small tasks. 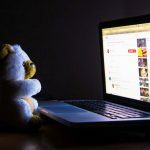 Any kind of task you can imagine can be done on UpWork. All you need to do is sign up for an account and then you can begin looking for jobs. 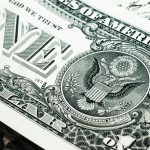 I have worked on UpWork and made almost $10,000 on this platform. It’s been a great tool for me as a work from home professional. It may be good for finding big clients, but it’s also good for use as a tool for finding micro jobs. With your free Figure Eight account, you have the option to choose from numerous easy tasks. That’s right! You do not need special skills for a lot of the tasks available. However the more accurate you are, the more, and better tasks you will be able to do in the future. The tasks can be as simple as using their imaging tool to draw boxes around objects in photos. Moderate content, and decide if it is abusive, or explicit. Transcribe short audio clips. The payouts can be a little on the lower end, most ranging at just pennies per each task. However, the tasks are great for those little moments of downtime you have throughout the day. The more tasks you complete, the more you can earn. I, particularly, jump on, and find tasks, while waiting for appointments. My favorite task is drawing boxes around objects. I almost make a game out of it, to see how many I can complete before I am called up to my appointment. Have you always wanted to become a tester? While you will not be flooded with new products to try, you will instead receive test websites to try out, after signing up with TryMyUI. Browse a test website, as if you were really using it. Then leave honest feedback about how the website flowed. Was there anything frustrating about it? Was there anything in particular that made it easy and stress-free to maneuver around? It’s pretty easy work, and best of all, you get paid $10 for each response you send. Not sold yet? A typical test only lasts about 20 minutes or less! Just be sure to use your PayPal email when signing up. Pending on your demographics, you can expect to test a few sites on a weekly basis. When it comes to doing micro jobs, there are some important tips you’ll want to pay attention to. I wanted to share some of these tips to help make your job a little easier. When it comes to micro jobs, detail is super important. You will want to make sure you are reading the directions. Failure to do so could lead to you not getting paid, for not completing the task as directed. 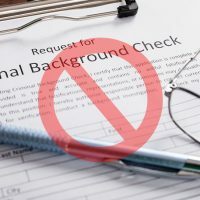 It could also prevent you from ever getting hired again by that person or company. On the same note, if you have questions, or are unsure of something, be sure to ask for clarification. It can make the difference in a job well done, or a job not done well at all. Micro jobs are usually first come first serve. If you look in the morning, you’re more likely to find the best small jobs. So set your alarm, and rise and shine. As they say, the early bird gets the worm! The sky’s the limit! With as many different kinds of micro jobs, on a variety of different platforms, that are out there, there is no reason why you shouldn’t apply to as many as you can. Keep in mind, when applying for micro jobs, that you do not have to stick with just one skill. If you are talented in numerous areas, apply for numerous types of positions, tasks, and jobs. Take advantage of your skills, knowledge, and capabilities. I assure you that you will not regret it! I would say by the time you’re done reading this, you’re going to have a lot of information in your brain. I promise you, you’ll love working for these micro sites. It’s easy money and a fun way to make a living. Have you ever worked for these micro websites or jobs?